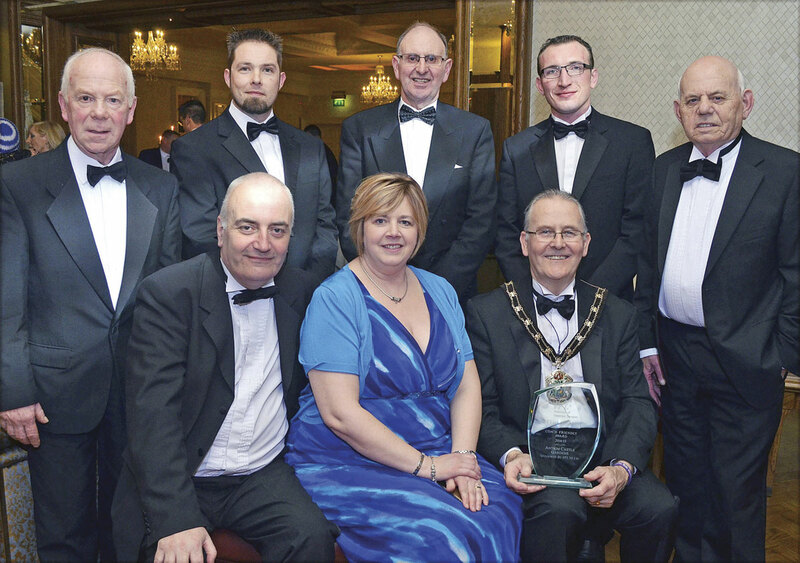 The 2015 Federation of Passenger Transport Northern Ireland (FPTNI) Awards were held last weekend at the Galgorm Manor Hotel in Ballymena, County Antrim. Keynote speaker was Danny Kennedy, Minister for Regional Development in the Northern Ireland Government. The Department for Regional Development (DRD) has overall responsibility for the public transport network in Northern Ireland. Unlike in the rest of the UK where all aspects of the licensing of bus services, drivers and vehicles is controlled by sections of the DfT, in Northern Ireland the responsibilities are split between two departments, the DRD which controls the overall network and the Department of the Environment (DOE) which controls licensing. In his address Minister Kennedy praised the Association and its members for their outstanding contribution to the economy of Northern Ireland and the welfare of its people. Under Minister Kennedy the Provinces long chaotic registration and licensing system has started to be overhauled and improved. He said that further changes were on the way and these would provide good opportunities for the independent sector. He also said that he and others in the Government were committed to achieving integration of Northern Ireland’s fragmented provision, this clearly aimed at the powerful Health and Education & Library Boards that currently run substantial fleets of state owned vehicles many of which stand idle most of the day. He hinted strongly that the days of huge subsidies to public transport were over and that whilst the state ownership of the main network is not in doubt it will have to become leaner, fitter and embrace the independent sector a great deal more. He also hinted that in the next Administration, which will follow the elections in 2016, it is likely that all the passenger transport activities including all aspects of licensing will be grouped into one ministry – his. He stressed that he is totally committed to the proposed Belfast Bus Rapid Transit proposals due to come on stream in 2017. He also said that his Department had plans for a major expansion of Park and Ride services across the Province and he saw this as presenting major opportunities for the independent sector. The most coveted award is that of Operator of the Year. This year it was won for the first time by Quinn Coaches of Poyntzpas. Phelim Quinn and his son Conleth have been steadily developing their business over recent years, constantly upgrading their fleet and operational systems. However, in 2014 they made a major step forward by becoming a significant Irish provider for tour companies like Trafalgar and Insight. This meant a major expansion of their fleet with the addition of six new DAF powered VDL Futura 2 luxury coaches – the first of the type to operate in Northern Ireland. The vehicles a mix of 12.2m and 13m units were supplied through the Associated Moseley Group of companies. Not content with upgrading the fleet they also opened a completely new depot with hard standing yard, workshop and offices and introduced advanced systems to cover fleet maintenance and legislative reporting requirements together with complete cost analysis of the business. Another prestigious award is the P.J.Logan Award which goes to someone who has made an outstanding contribution to the bus and coach industry in Northern Ireland. It is named in honour of Patrick ‘Joe’ Logan the man who founded Northern Ireland’s premier independent coach company, Logans Executive Travel. 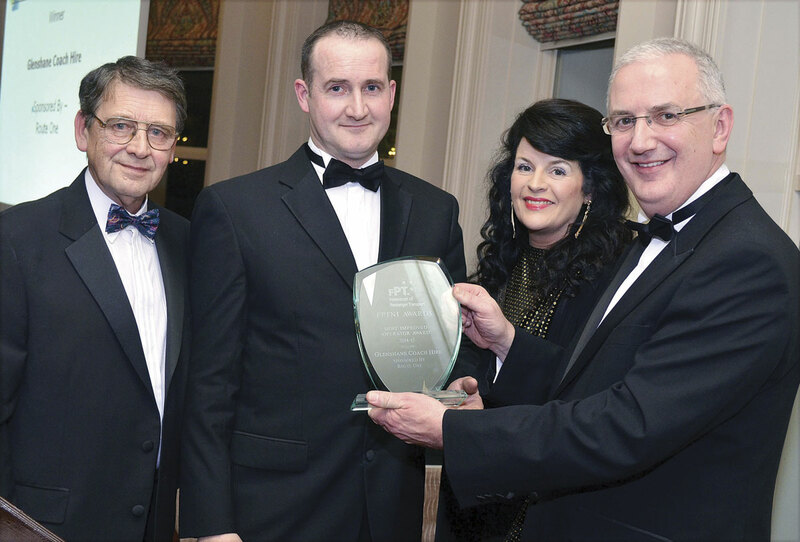 This year the award went to John Gerard Smith of Call-a-Coach of Belfast. John is the current Chairman of FPTNI and he has worked tirelessly over the past 13 years since the association, first called NIICOA and now FPTNI, was formed to promote the sector and campaigned for the much needed reform of the legislation and operational systems in the Province. 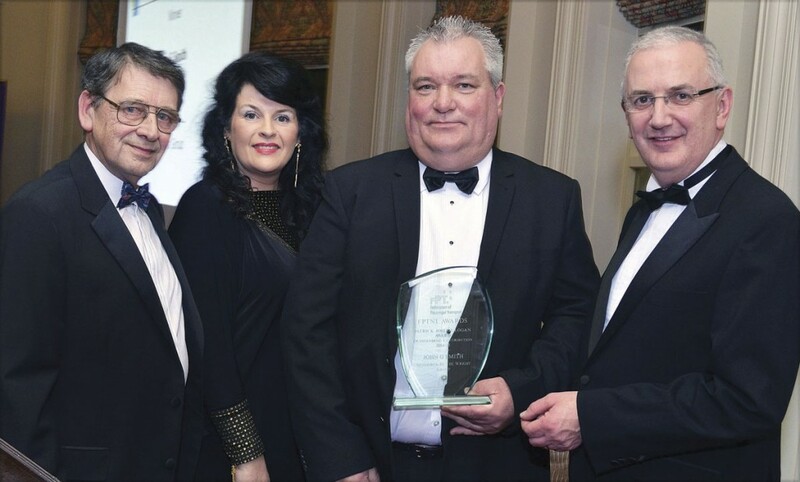 He has all the credentials for the job having started out as a driver for Ulsterbus then joining the independent sector first as a driver then later as Transport Manager and finally owner of his own coach company. Along the way he also got involved in actually building minibuses. John is very popular and he was nominated for the award by many of the Association members so the announcement that he had won the award brought a sustained round of applause. There was a surprise too for Logan’s Executive Travel when they received the Judge’s Special Prize for their committed support of the Federation and consistently maintaining the highest operational standards, the benchmark by which all other operators in the Province judge themselves. 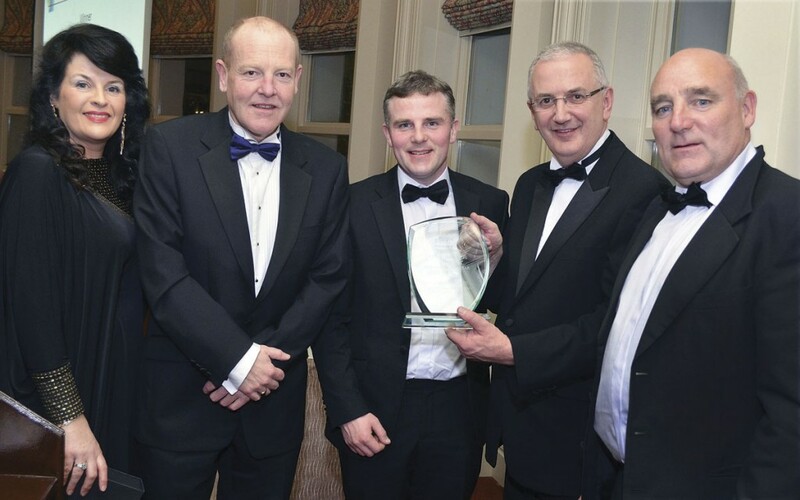 J&K Coaches, previously of Ardboe but now of Moneymore, won the Danny Monaghan Raising Standards Award, named in memory of Danny Monaghan, founder of Belfast Dial-a-Bus. 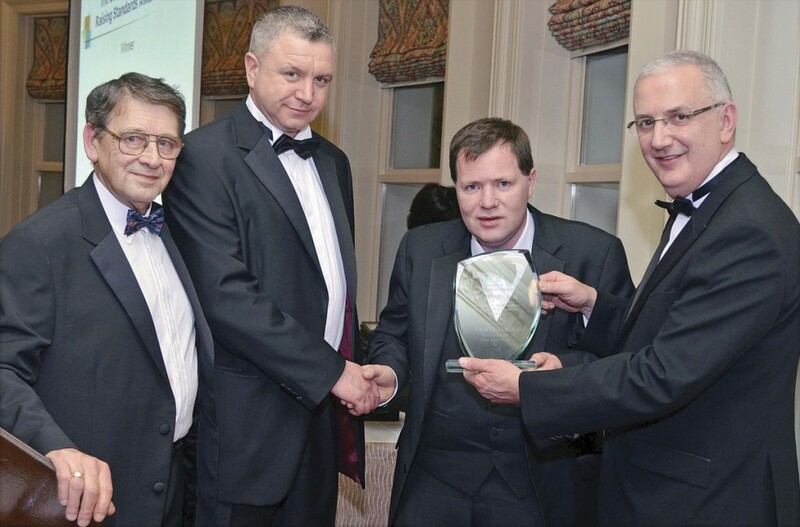 The award came following the opening of a big new depot, further fleet expansion and again the introduction of advanced systems. Rodney Gallagher the young owner of Glenshane Coaches of Maghera won the Most Improved Operator Award for the continued development of his operation but also his efforts to also re-establish one of the most famous names in Northern Ireland coaching, Chambers Coaches, with its distinctive bright yellow vehicles. 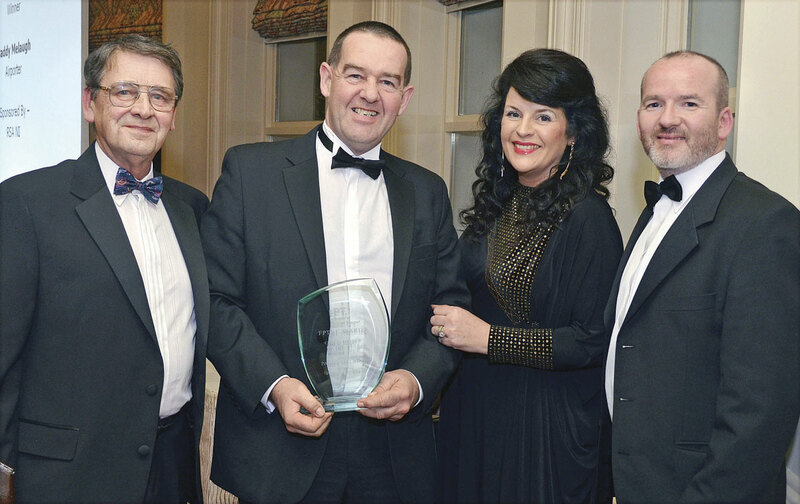 Agnews Coach Hire of Lurgan took the award for Services to the Community whilst Airporter of Derry/Londonderry picked up the Brian Smyth Customer Care award which is actually given in memory of the founder of Airporter. 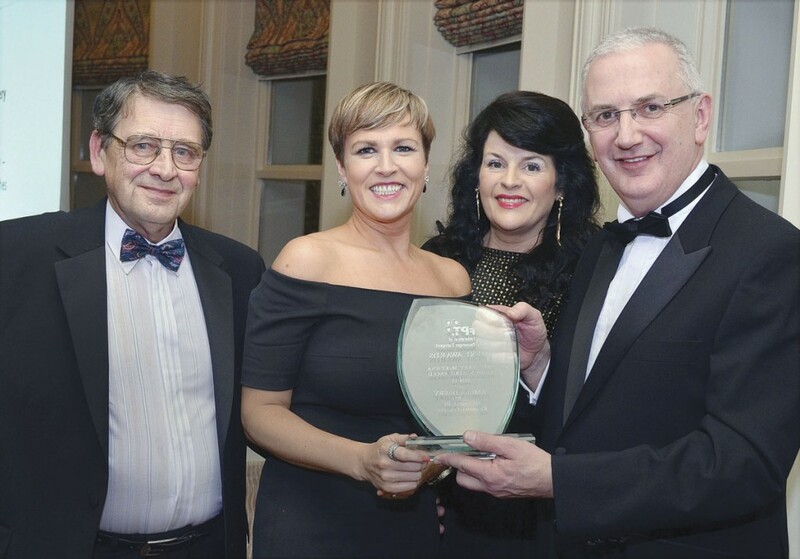 Airporter also picked up two other prizes when their Office Manager Pamela Deery took the Gerry McKenna Hidden Hero Award (the late Gerry McKenna was the founder of Richmond Coaches of Lisburn) and one of their drivers Paddy Melaugh was named Coach Driver of the Year. 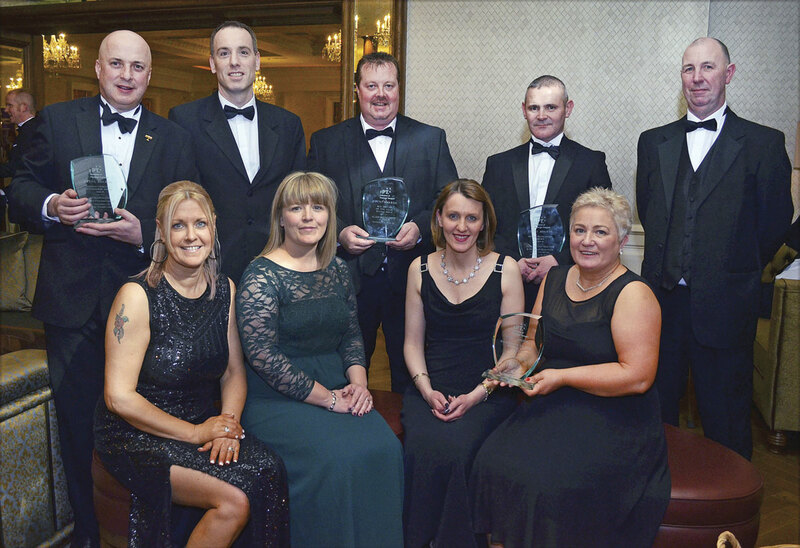 Translink picked up a number of awards notably the second Raising Standards Award which went to their ‘Out in 3’ vehicle fire evacuation training programme developed in conjunction with People First and the NI Fire and Rescue Service. 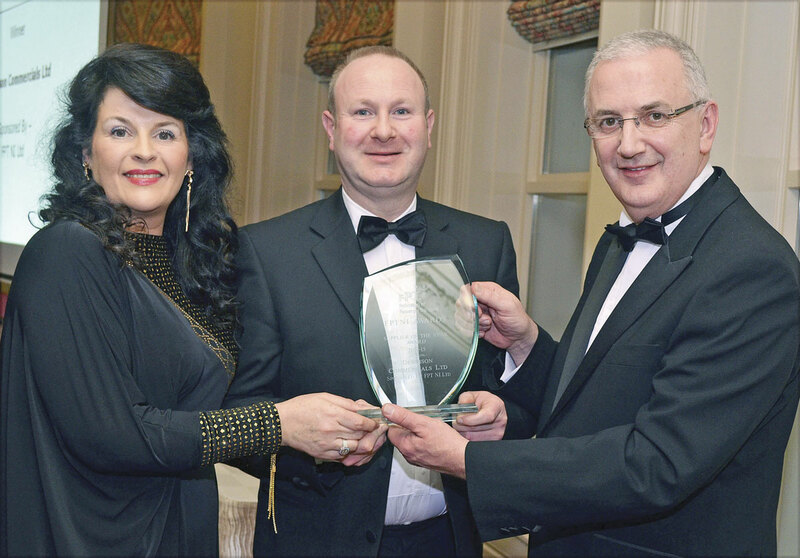 Two of their drivers, Alan McCoubrey of Ulsterbus Downpatrick and Arlene Rafferty of Ulsterbus Belfast took the Bus Driver of the Year and Runner Up awards respectively. There were also Special Recognition Awards for Translink Metro driver, David ‘Dee’ McEvoy and Inspector, Brendan Kelleher, for their efforts in bringing a mugger, who had stolen an old lady’s handbag, to justice and retrieving the lady’s possessions. In the vehicle awards, Quinn Coaches took the award for the best new large coach with one of their 13m VDL Futura 2’s. McCombs Executive Travel took the award for the best new Mini/Midicoach with their Unvi Touring GT (one of three they have added to the fleet this year). The award for the best pre-owned vehicle to be added to the Northern Ireland pool went to the Volvo 9700 of Agnew Coach Hire, whilst the award for the best refurbished large coach went to Carberry Coaches for their Setra 315 GTHD and that for the best refurbished mini/midi went to Call-a-Coach with their Plaxton Vario Cheetah. Both refurbishments had been carried out by Duoflex. Supplier of the year for the second year running went to Dennison Commercials whilst the Coach Friendly Award went to Antrim Castle Gardens. Both of these Awards are made by a ballot of the Association members. It has been my pleasure to judge these Awards for the past 12 years but never has it been harder than this year with so much progress being made and the largest entry list ever. There were so many excellent contenders.